Summertime Chai — One Stripe Chai Co. It's true, the blazing summer is upon us and we're looking for unique ways to cool off. 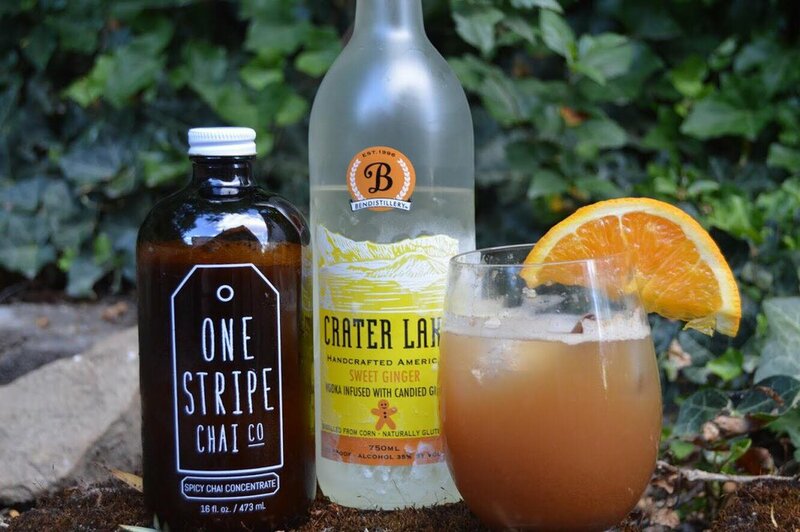 We've been doing some tinkering of our own and here are two ways to cool off this summer with One Stripe Chai! Stir, don't shake and serve over ice! Mix concentrate, vodka, and orange juice in cocktail shaker and shake it like you mean it. Recipe submitted by Stephen E.
As always, if you find a fun and delicious new recipe for One Stripe Chai, please share them with us! We love seeing what how you drink your One Stripe Chai!